Orionid meteors appear every year around this time when Earth travels through an area of space littered with debris from Halley’s Comet. This year the peak will occur on the night of Wednesday, Oct. 21 into the morning of Thursday, Oct. 22. The best time to look for Orionid meteors is just before sunrise on Thursday, October 22nd, when Earth encounters the densest part of Halley’s debris stream. Observing is easy: Wake up a few hours before dawn, go outside and look up. No telescope is necessary to see Orionids shooting across the sky. Viewing conditions are favorable this year, as the light from the gibbous Moon should set by 2 a.m. EDT time, permitting good viewing just before dawn when the rates will be at their highest. A live stream of the night sky from NASA’s Marshall Space Flight Center in Huntsville, Ala. will be available via Ustream beginning October 21, at 10 p.m. EDT. The live feed is an alternative for stargazers experiencing bad weather or light-polluted night skies. If the weather in Huntsville is clear, Orionids may be seen in the feed as early as 11:30 p.m. EDT, though the hours before dawn should show the most Orionid activity. The display will be framed by some of the prettiest stars in the night sky. In addition to Orionids, you’ll see the Dog Star Sirius, bright winter constellations such as Orion, Gemini, and Taurus, and the planets Jupiter and Venus. Even if the shower is a dud, the rest of the sky is dynamite. Set your alarm, brew some hot chocolate and enjoy the show! 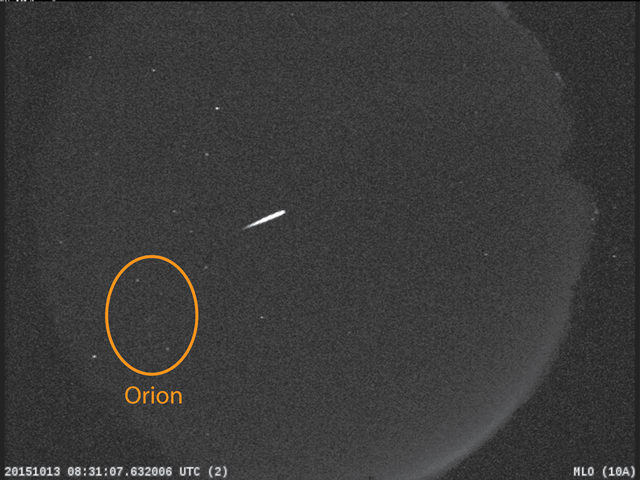 An Orionid meteor recorded by the NASA All Sky Fireball Network station on top of Mt. Lemmon, Arizona on October 13, 2015 at 04:31 a.m. EDT. 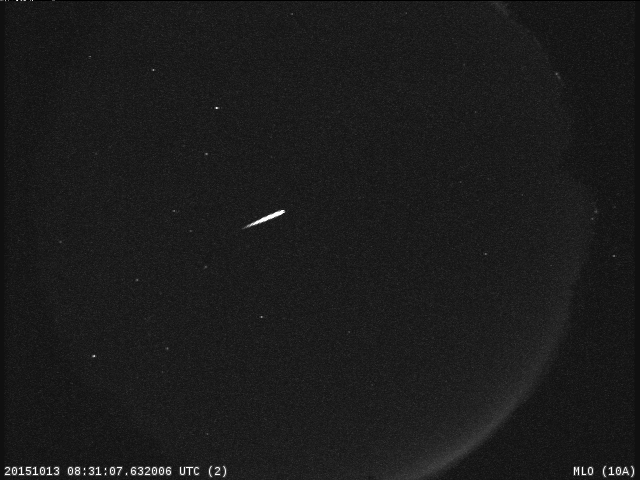 An Orionid meteor recorded by the NASA All Sky Fireball Network station on top of Mt. Lemmon, Arizona on October 13, 2015 at 04:31 a.m. EDT. Orionid meteors appear to come from the direction of the constellation Orion, circled in orange. Humm gostei, vou compartilhar nas minhas redes sociais! I have bookmark your site as well as include rss.